Wondering what a public adjuster is (also commonly referred to as a private adjuster)? A public adjuster is an insurance claims expert you hire to represent you, helping with documenting/estimating & negotiating your insurance claim. A public claims adjuster has no conflict of interest and helps you with your entire claim, every step of the way. Generally, they are paid out of the insured’s claim, rather than up front—so they have every motivation to make sure that the insured receives the largest, fairest settlement possible. How Do Public Adjusters Do All of This? A private adjuster assesses the damage itself, either themselves or through a report from a trusted inspector and determine the costs of the repair. They also read the home owner’s insurance policy to determine whether or not the damage is covered, and if so, to what extent. They then guide the insured through the claims process, which itself can be complex and intimidating for the layperson. 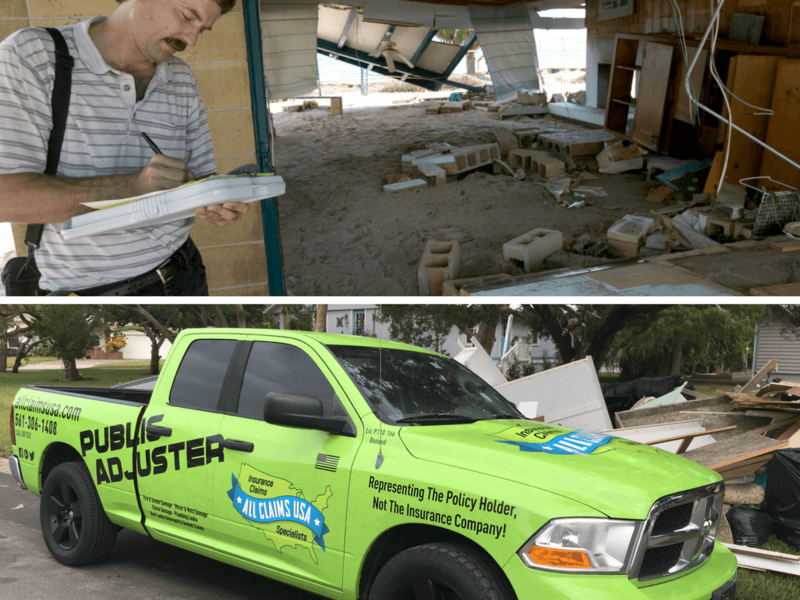 Public adjusters in South Florida are very aware of not only the basics of their profession—how to interpret policies, document damage, and file claims—but also of the types of damage most common in the region. This is important, because those types of damage that are most frequent (water damage, storm and flood damage, etc.) in a particular region are also the types of claims insurance companies scrutinize the most. No matter how justified a claim, a simple mistake on the part of the property owner could lead to it being refused or the settlement reduced. Whether you have fire damage or water damage South Florida, don't hesitate to reach out to us. Don’t let that happen to you. You deserve a private adjuster on your side. What About the Adjuster My Insurance Company Sent? All Claims USA public adjusters work for you. The adjuster sent by your insurance company is paid by them. Unlike private insurance-company paid adjusters, public adjusters not only want the homeowner to succeed, we have a personal stake in your success. Our success quite literally depends upon your success. Throughout the insurance claims process, the insurance company’s employees, including their contracted adjuster, will be working with the insurance company’s well-being in mind. That does not necessarily mean that they will be working against your interests, but there is a world of difference between them working for your interests or being apathetic toward them. They aren’t going to go out of their way to tell you that you deserve more than you’re claiming, or to fix any mistakes on their end should they occur—though they’ll be quick enough to deny a claim because you made a mistake. All Claims USA’s private adjusters help you avoid costly mistakes and make sure that you’re claiming everything you’re entitled to.